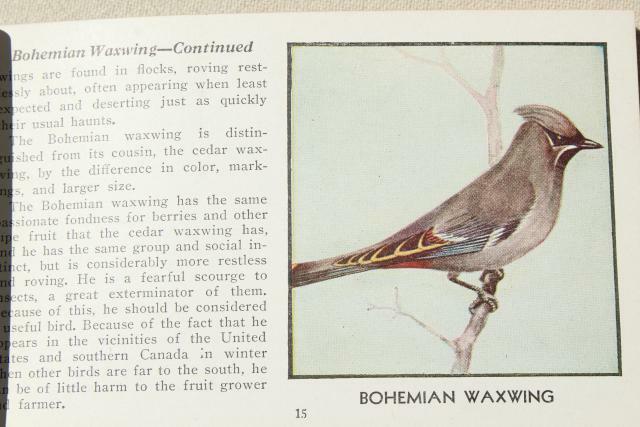 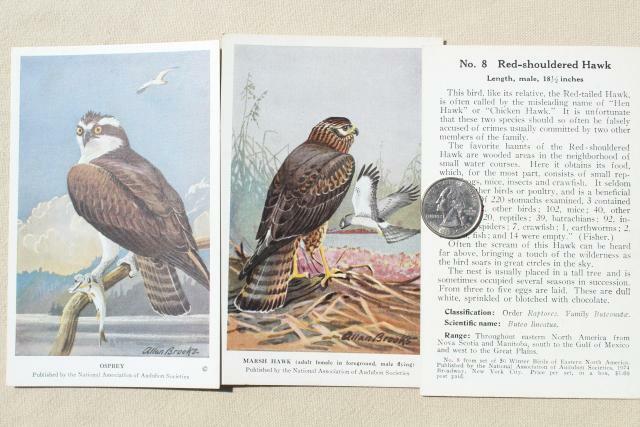 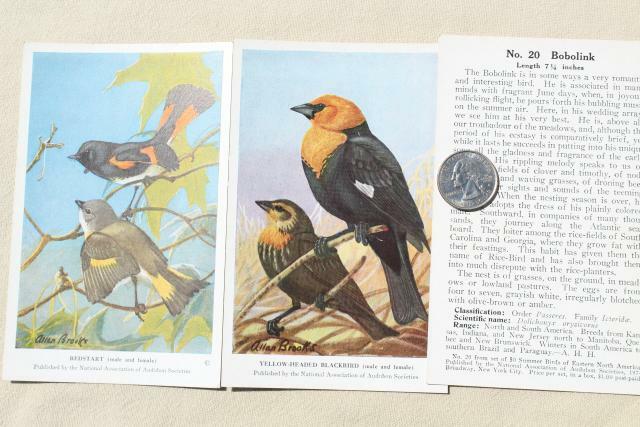 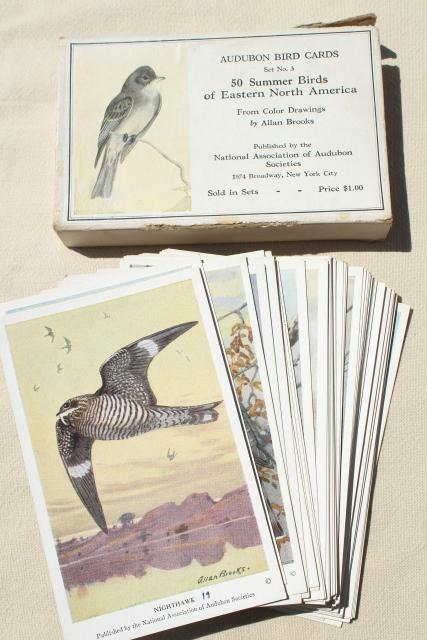 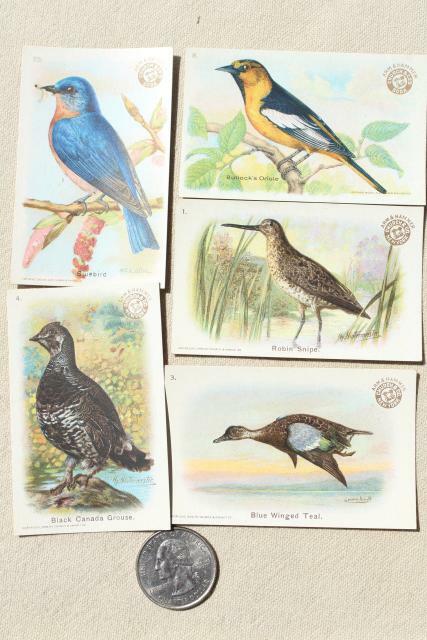 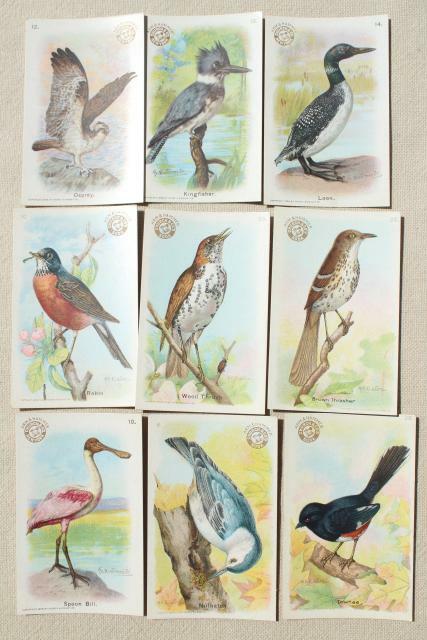 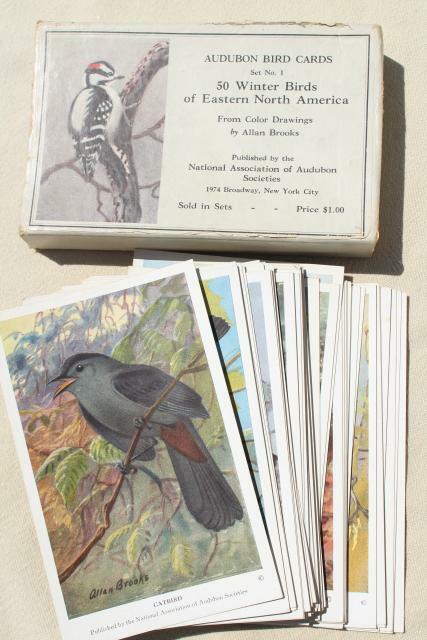 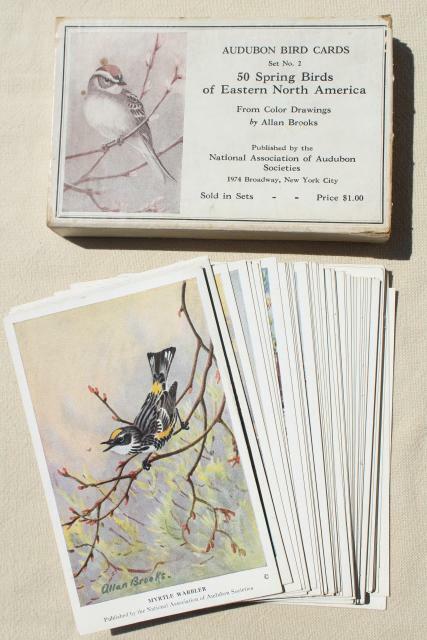 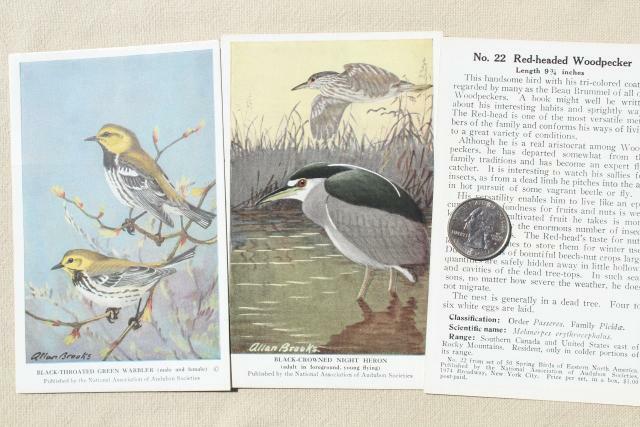 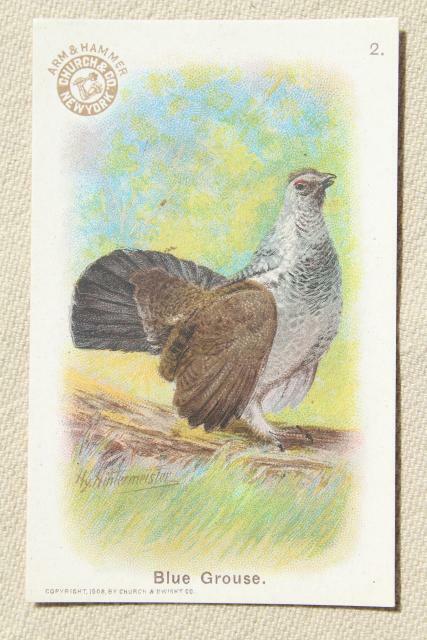 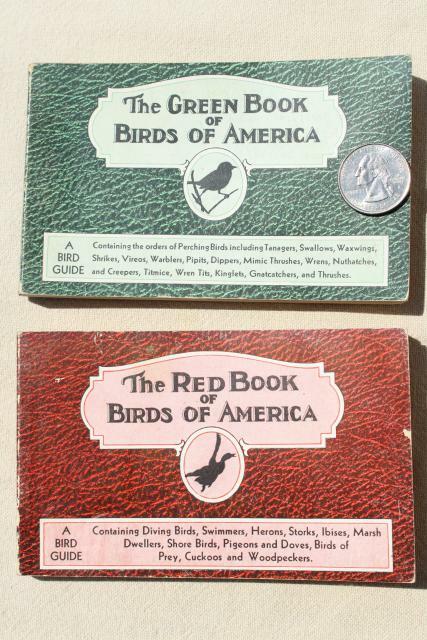 Lot of some lovely old natural history birds print cards and field guides with tons of color art prints. 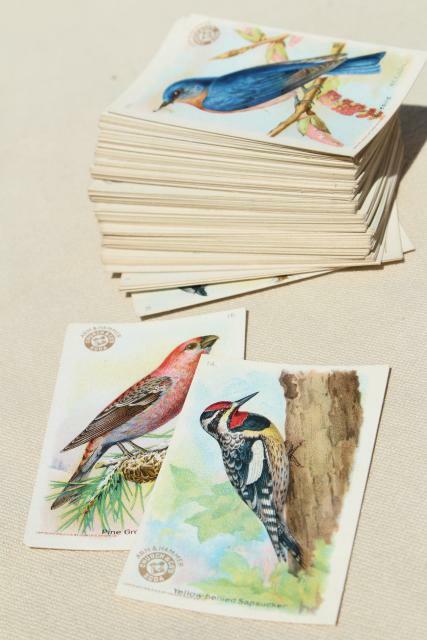 The big cards are 5 1/2" x 3 1/2" overall, and the small cards are 3" x 2". 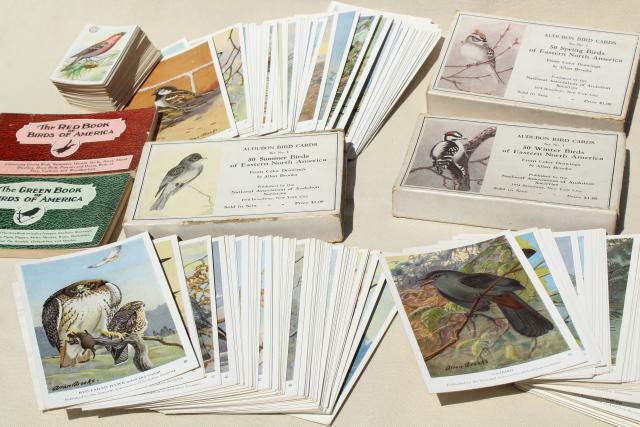 The whole lot - cards and books - is shown altogether in the first photo. 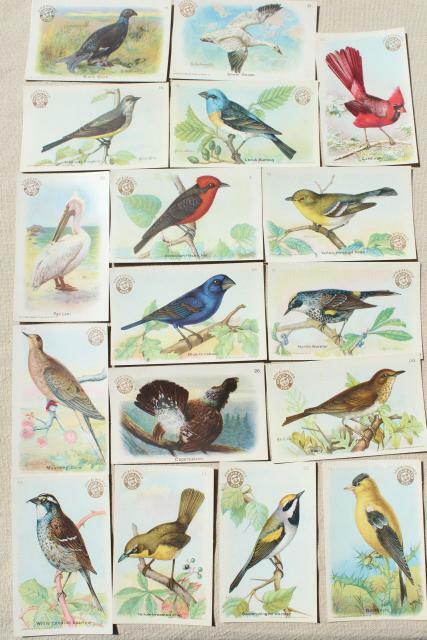 These are authentic old and antique pieces, showing some age and wear, slight discoloration and / or foxing. 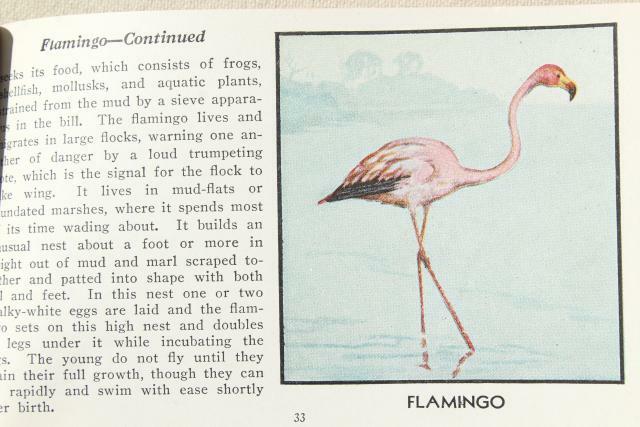 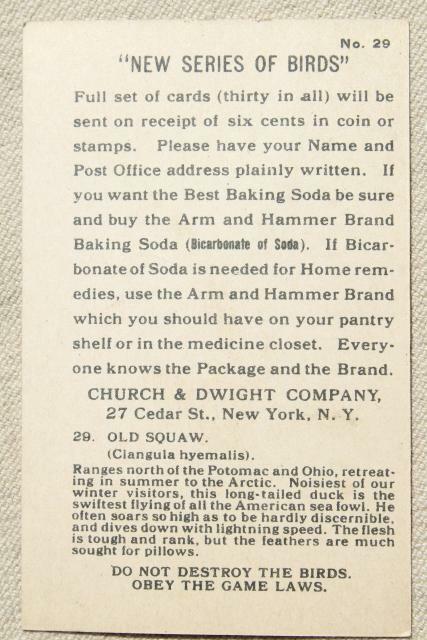 Some good antique graphics here!